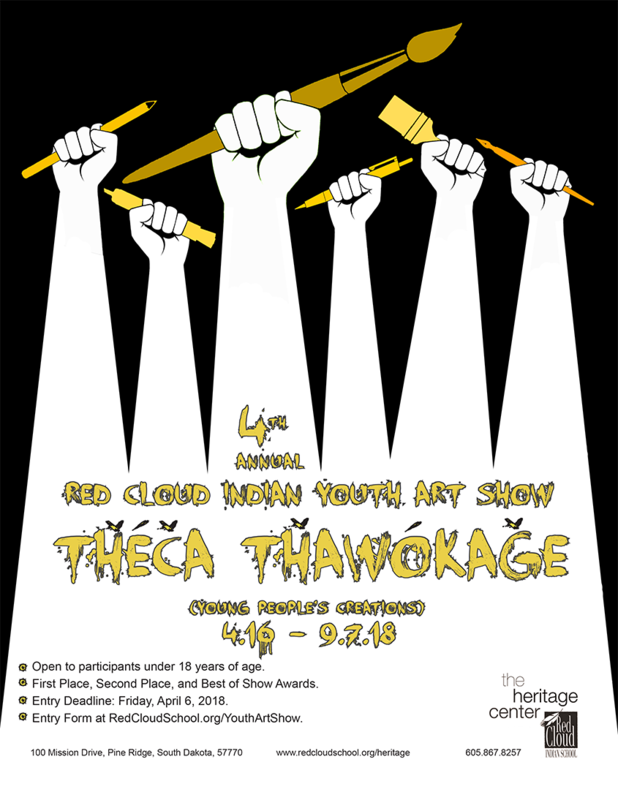 The Heritage Center at Red Cloud Indian School is proud to announce Tȟéča Tȟawókaǧe (Young People’s Creations), the Fourth Annual Red Cloud Indian Youth Art Show. The goal is to provide an equal opportunity for our creative youth to start their careers as artists in a safe place to present their work. For the Fourth Red Cloud Indian Youth Art Show, we are opening the exhibit up to the youth of the South Dakota reservations and any enrolled tribal member of the Native Peoples of North America who is under 18 years old as of the first day of the art show. There are seven categories: Drawing, Painting, Print Making, Photography/Computer Generated, Mixed Media, Three Dimensional, Contemporary or Traditional Cultural Items. Each division will have a first, second and best of show award. The 4th Annual Red Cloud Indian Youth Art Show will be on display APRIL 16 - SEPTEMBER 7, 2018 in Oúŋtȟaŋni, The Heritage Center’s Education Center.